The combination of white and gold presents a godly color scheme that is suitable for any emperor or king who wants to show off their wealth and power. The Byzantine Emperors Dagger uses this beautiful color scheme to its advantage! 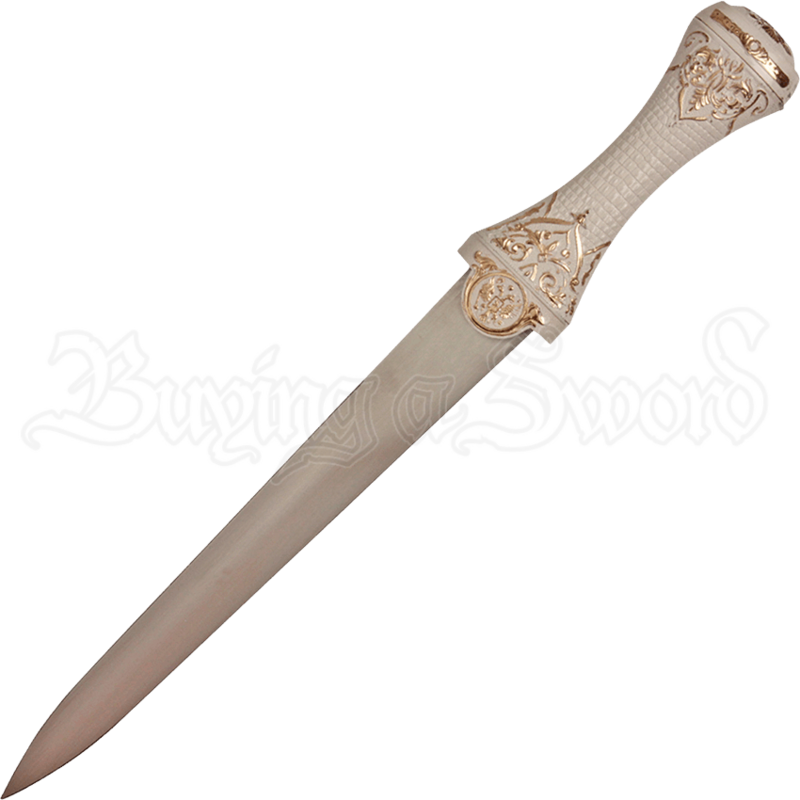 This ornate dagger possesses a stainless-steel blade and a cast metal handle and scabbard that possess a white finish with gold decorations. The handle of this small blade is decorated with a scale-like texture and intricate designs. Near the blade is the seal of the Byzantine Empire, a double-headed eagle with a shield in front of it. The same seal is found on the flat pommel of the handle. The scabbard that this historical dagger comes with possesses the same scale-like pattern and intricate designs as the handle. A small line runs down the length of the scabbard, with a rivet-like dot at its center. 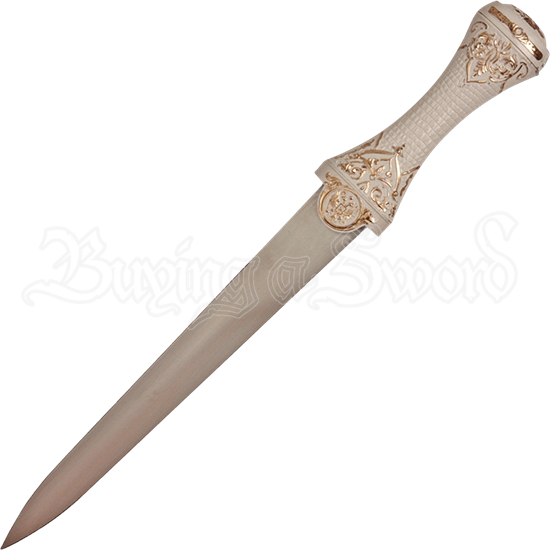 This decorative dagger is ideal for any old-world emperor or king costume and is the perfect addition to any collection. Give it as a gift to a friend or loved one, or add it to your personal collection!